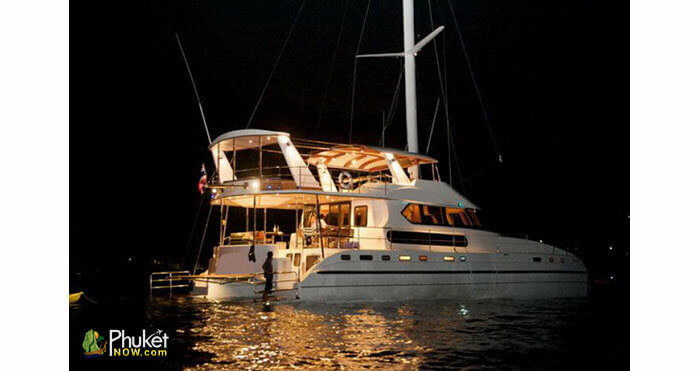 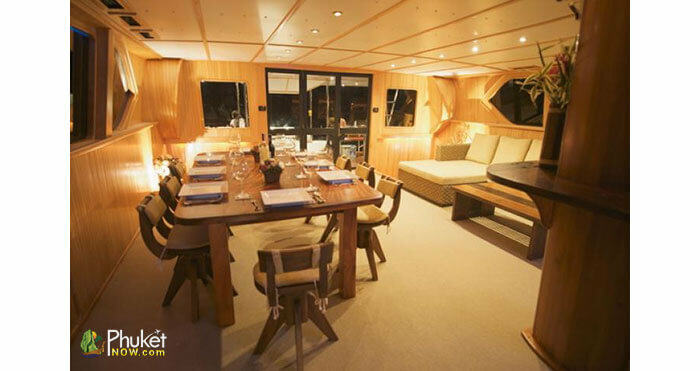 This big luxury catamaran is available for charter in Phuket for both day and overnight tours of Phuket, Phang Nga and Krabi provinces and their abundant, beautiful, surrounding Islands. 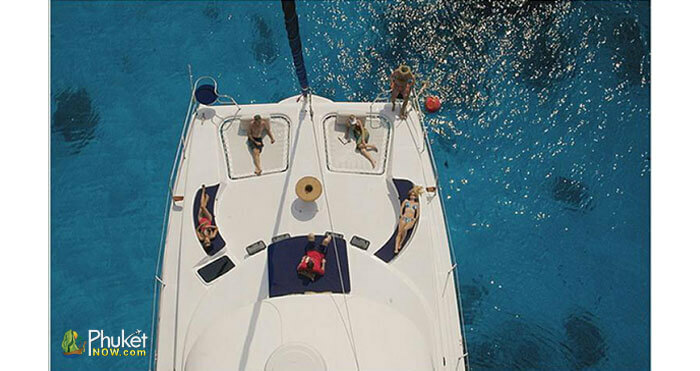 Relax with your friends and family in style on this beautiful sailing catamaran and explore the best sailing grounds in the region. 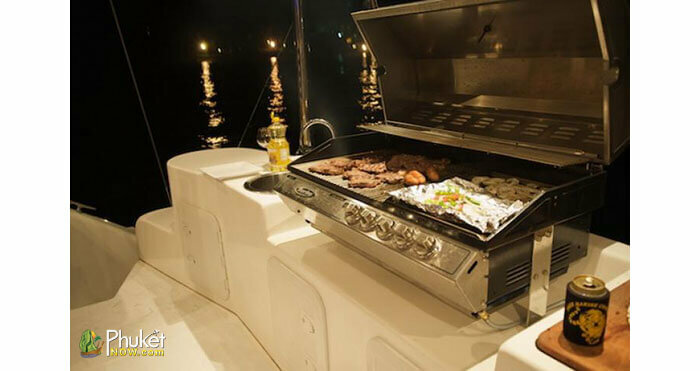 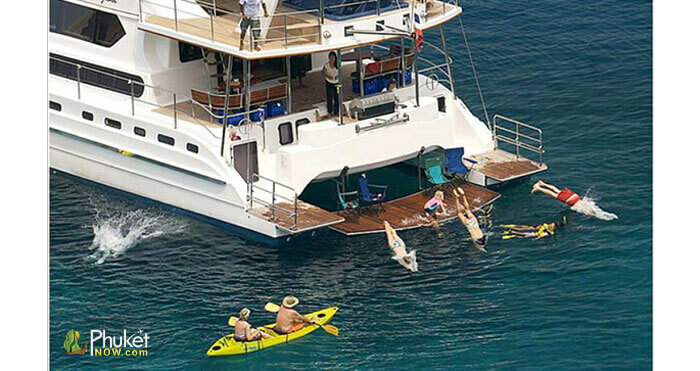 With capacity for 60 guests for day charters, she makes for a great party platform with a private beach for friends and family on any special occasion. 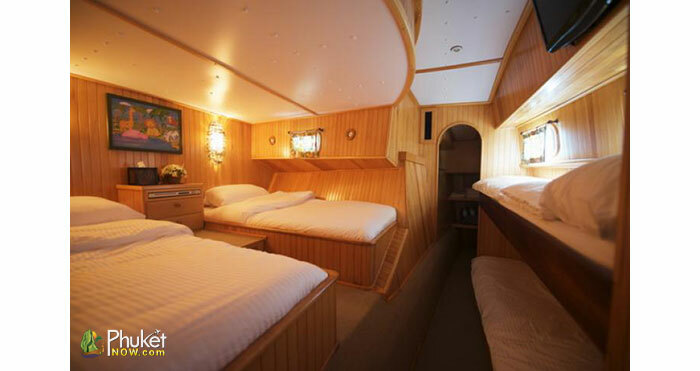 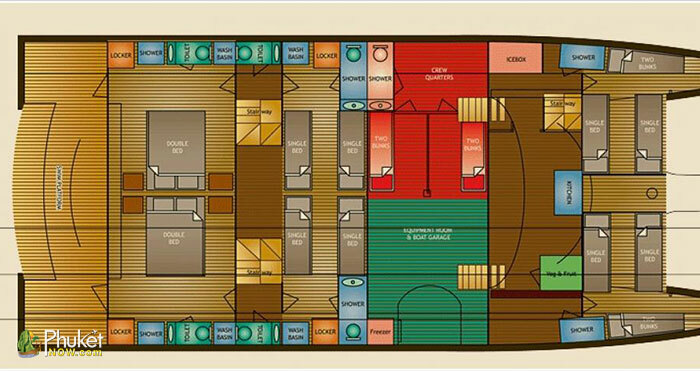 She can sleep up to 16 guests overnight in air-conditioned comfort with en suite cabins and separate quarters for the crew. 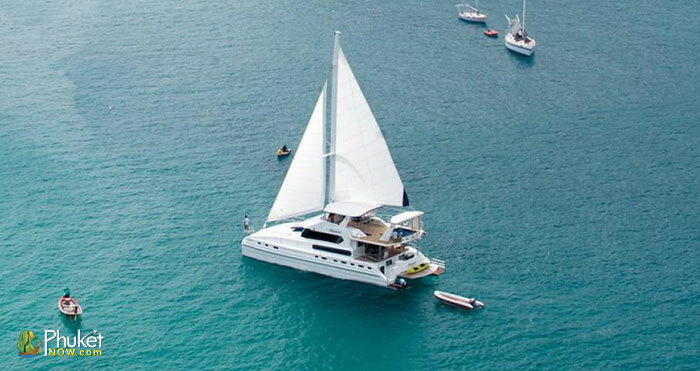 Relax with your friends and family in style on this beautiful sailing catamaran and explore the best sailing grounds in the region. 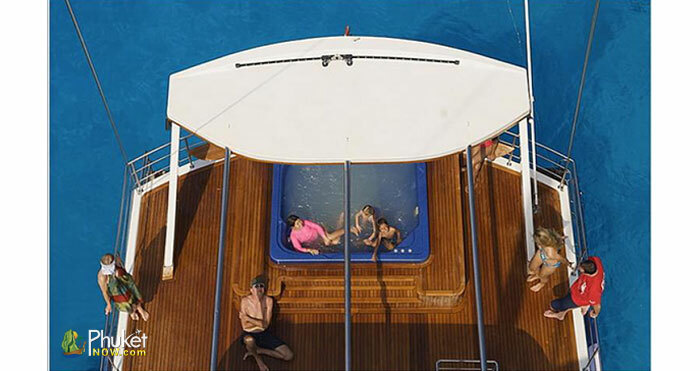 With capacity for 60 guests for day charters, she makes for a great party platform with a private beach for friends and family on any special occasion. 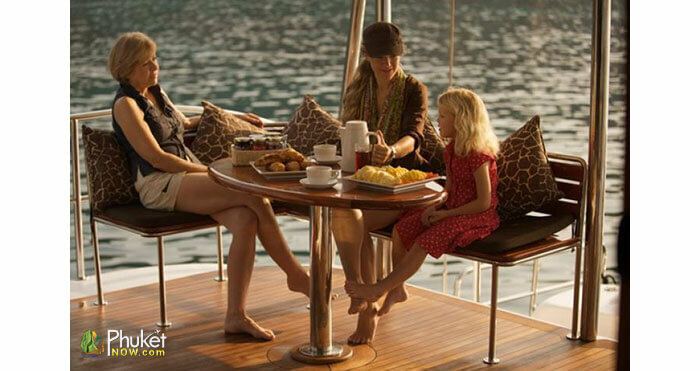 A crew of 3 to 5 will look for you and make your charter memorable.